On-demand instant verification of the order’s fraud risk. This is done, directly on the Prestashop dashboard, crossing the client’s data filled by the storeowner with those that the system can verify through ClearSale technology. Identification, address, credit card number and the purchase value are some of the information that can be verified on a history level, exactitude or authenticity of the cardholder’s documents. 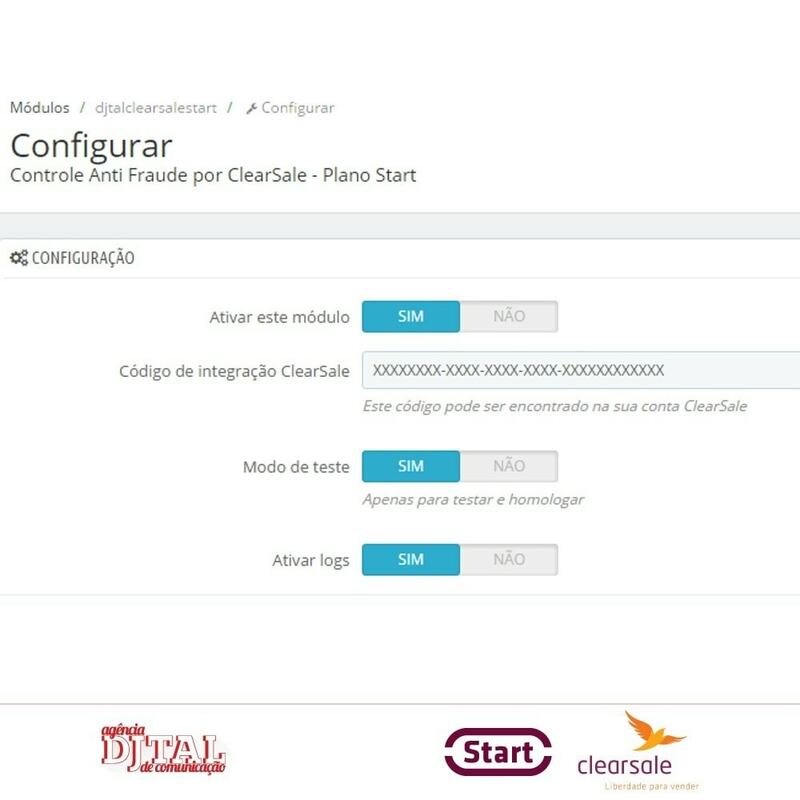 Integration of the ClearSale system, Start, with your Prestashp online store. Smart verification form with dynamic filling inside the Order Status section. 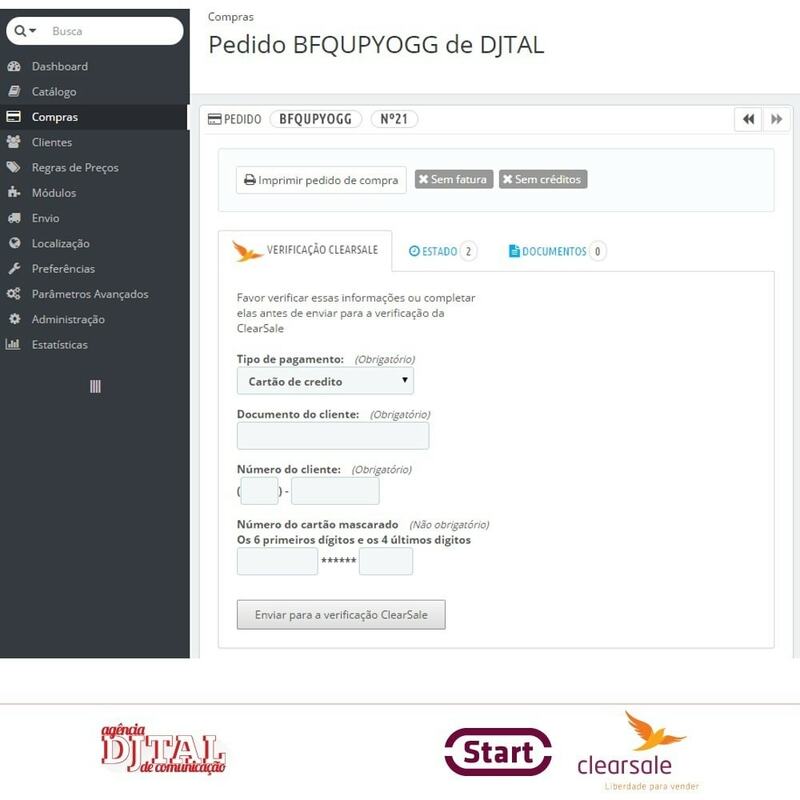 Instant verification of order and client data. ClearSale Start is not attached to any specific payment method. Whichever payment module you have installed it is possible to enjoy the safety provided by t he “Anti-Fraud ClearSale Start”. Have total control of the security budget of your online store. 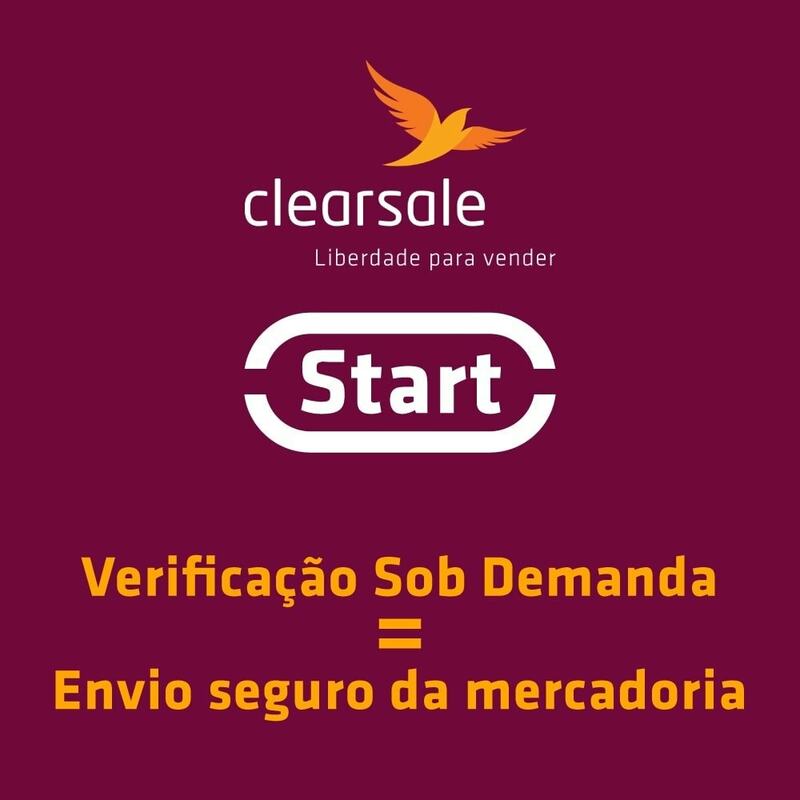 The contract with ClearSale in the case of Start is based on different packs that grant a verification credit to be used at will. Select a suspicious order, do the verification trough the form inside the order status section in the Prestashop dashboard, that is it. You will immediately get the results of the query. Verification form inside the order status dashboard section. Approve, deny, request a ClearSale decision or do a documentation query. On-demand verification (greater control over your security budget). 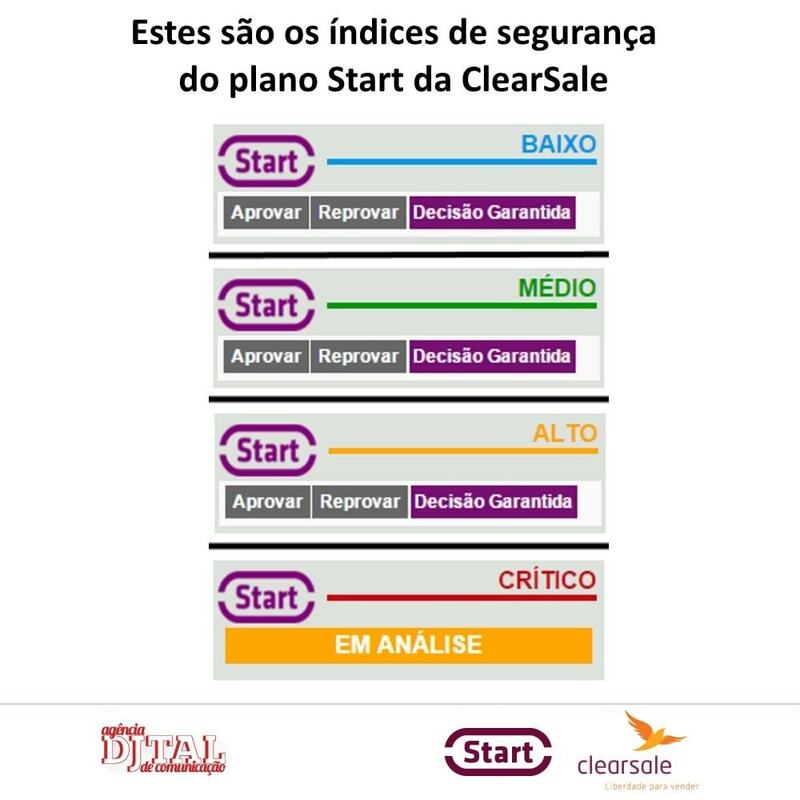 The “Anti-Fraud ClearSale Start” module has a very easy and common installation. Once you have a ClearSale account with one of the packs of Start is just a matter of going through the normal steps of a Prestashop module installation.